Small guitar foot stool for easy carrying around and comfortable right on the moment you needed. 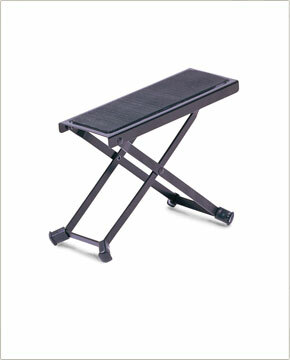 Height adjustable steel plate with non-slip rubber cushion for comfort. Legs securely lock into steel detents. Cushioned feet. Durable black powder coated finish.